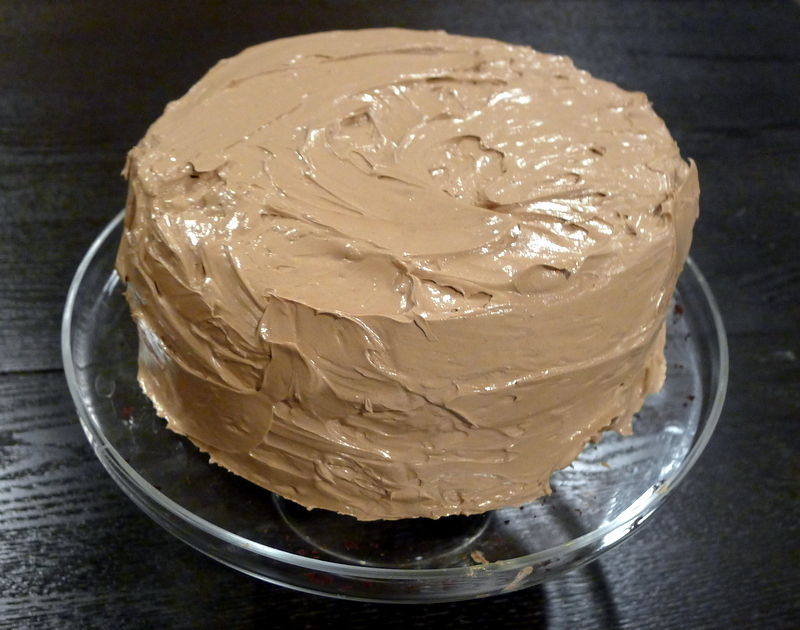 Yesterday after an amazing fall day out together as a family, I made Adam a double chocolate birthday cake–his favorite. 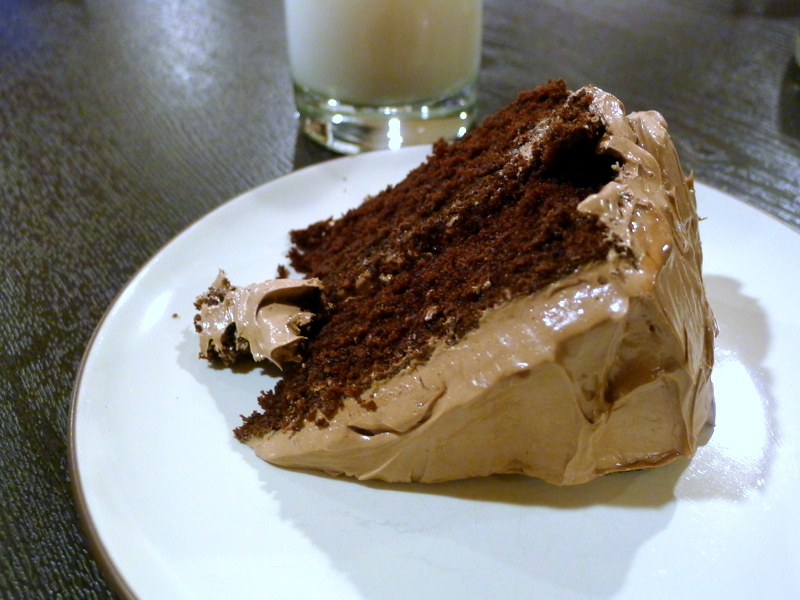 But I decided not to go with my traditional recipe; I’m hunting for something a little more moist these days, and really–do 2 adults need a 3-layer cake all to themselves? Normally we have some of my family around to celebrate and eat cake, but September turned into a rough month of illnesses and work deadlines for everyone. So I cracked open my trusty America’s Test Kitchen Family Baking Book and made the Old-Fashioned Chocolate Layer Cake instead. Made with a “pudding” of chocolate rather than just melted chocolate, even the distraction of a hungry 6 month old couldn’t make me over bake and dry this one out. It was exactly what a good chocolate birthday cake is supposed to taste like, straight from childhood. 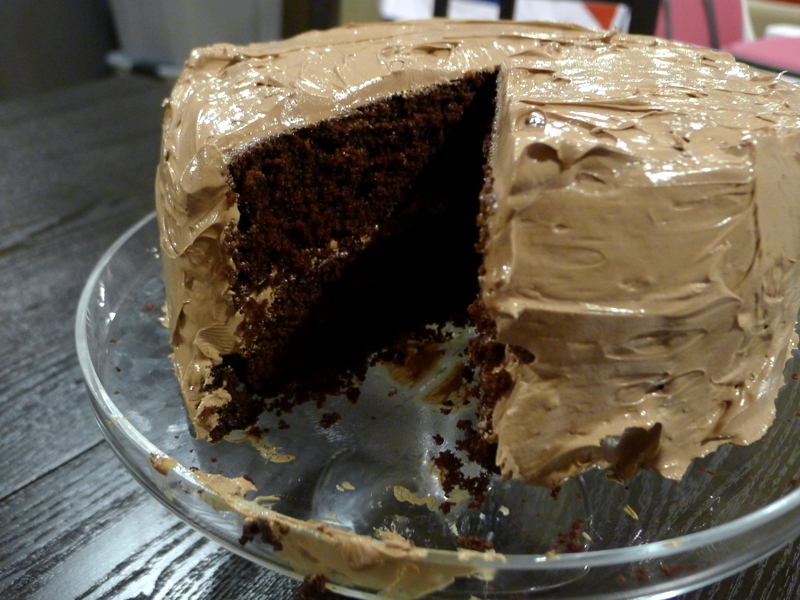 And I made a proper chocolate buttercream frosting for it, because that’s just the kind of wife I am. To make chocolate buttercream: Follow this recipe for vanilla buttercream all the way through, then add 8 ounces of melted bittersweet or semi-sweet chocolate and whip the mixture for another minute until combined. 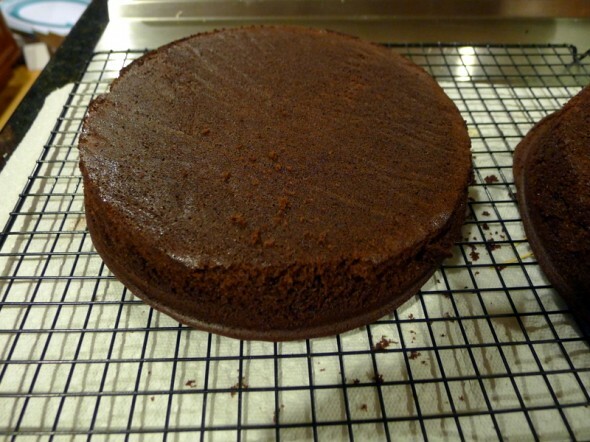 Adjust an oven rack to the middle position and heat the oven to 350 degrees F. Grease two 8- or 9-inch round cake pans (I used 8, this makes the cake higher), then dust with cocoa powder and line the bottoms with parchment paper. Whisk the flour, baking soda, and salt together in a medium bowl. Whisk the buttermilk and vanilla together in a small bowl. 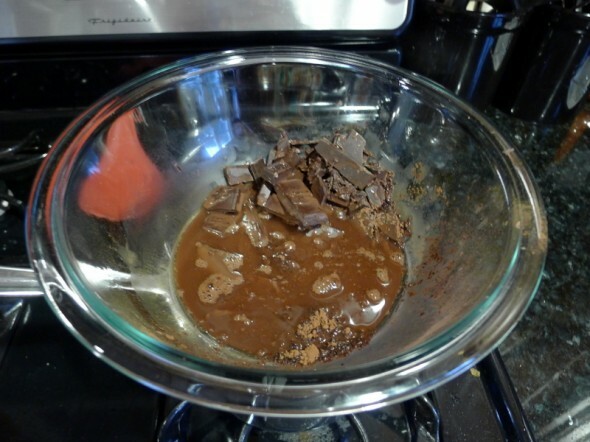 In another medium bowl, combine the chocolate, the 1/4 cup of cocoa powder, and the hot water and set over a large saucepan of barely simmering water, making sure the water does not touch the bottom of the bowl (this will make the chocolate seize). Heat the chocolate mixture and keep whisking it until the chocolate is melted and the mixture is smooth (about 2 minutes). Stir in 1/2 cup of the sugar and keep heating until it’s thick and glossy (another 1-2 minutes). Remove the bowl from the heat and let it cool. 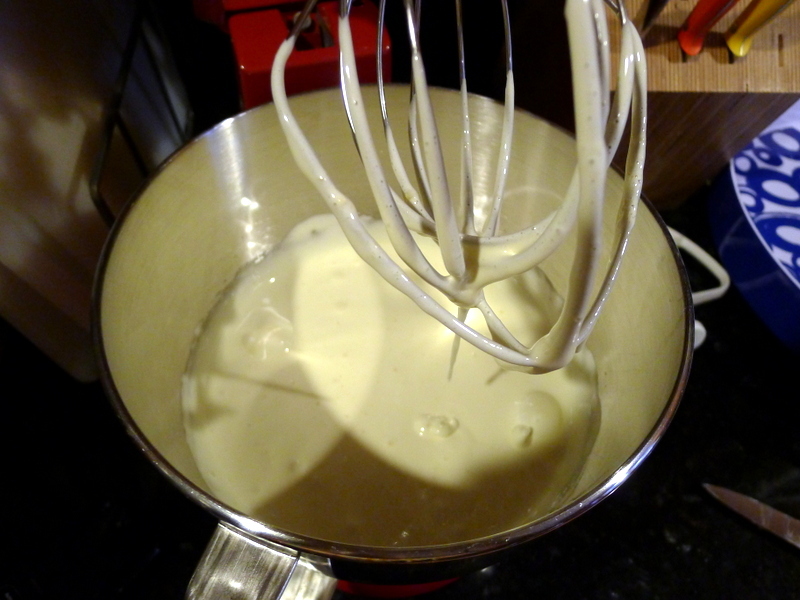 In the bowl of your stand mixer (or a large bowl with an electric mixer), use the whisk attachment to whisk together the eggs and egg yolks. Whisk on medium-high and slowly add the remaining 1 1/4 cups of sugar for about a minute. 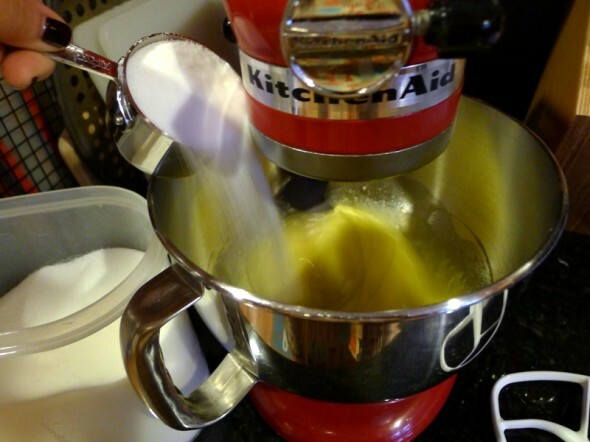 Replace the whisk attachment with the paddle attachment on your stand mixer. Beat the cooled chocolate into the egg-sugar mixture on medium speed until thoroughly incorporated, 1-2 minutes. Beat in the butter, one piece at a time, for about 30 seconds. Lower the mixer speed to low and beat in 1/3 of the flour mixture. Then add 1/2 the buttermilk mixture, the next 1/3 of the flour mixture, the last of the buttermilk mixture, then the last of the flour mixture. Give the batter a good final stir and scrape down the sides of the bowl. Scrape into the 2 prepared pans evenly, tap the pans on the counter to get the air out, and bake 25-30 minutes until a toothpick comes out with a few crumbs attached (in my oven this was more like 35 minutes). Rotate the pans halfway through baking. 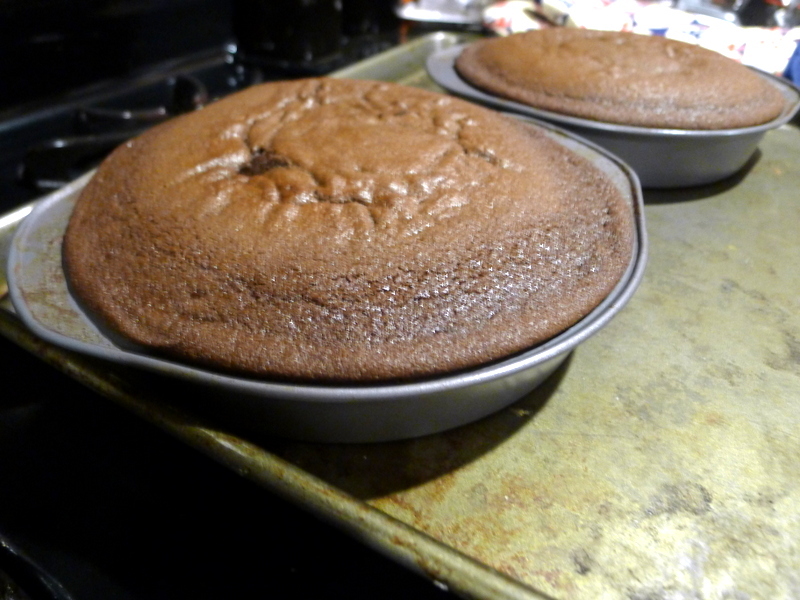 Let the cakes cool in the pans for 10 minutes. Then run a small knife around the edges of the cakes and flip them out onto wire racks. Peel off the parchment paper, flip the cakes right side up, and let them cool completely for 2 hours before frosting them.